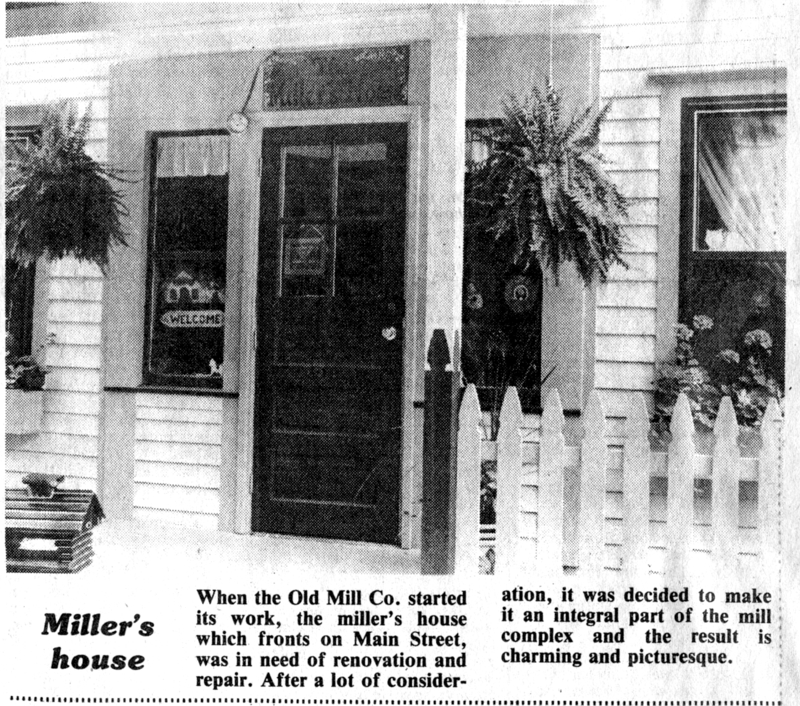 Carolee Michener wrote an article on the Mill reopening 7/11/1989 in which she said: Carla Morris of New Castle is organizing the crafts shop (on the first floor) which will feature a wide range of outstanding items made by talented artisans from throughout the region. Barbara McElhattan of Butler, formerly of Emlenton, is handling the details of the antiques cooperative on the second floor. 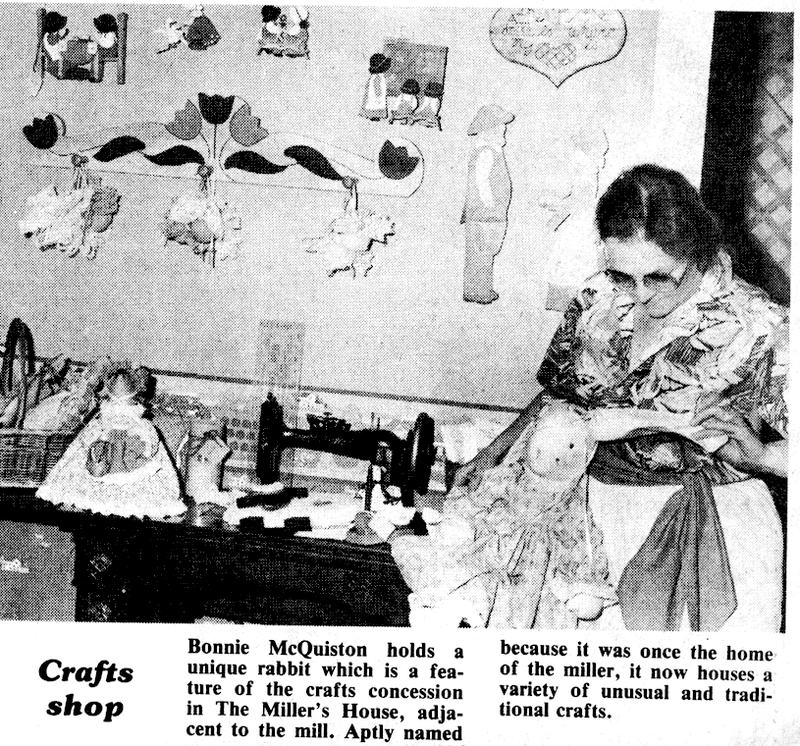 Next door The Miller’s House has been leased to Bonnie McQuiston who is running the shop featuring some of her own work (her specialty is folk dolls) and a variety of goods on consignment. She will have one room devoted to Christmas articles and she has brought in a variety of talented people who have articles for sale.